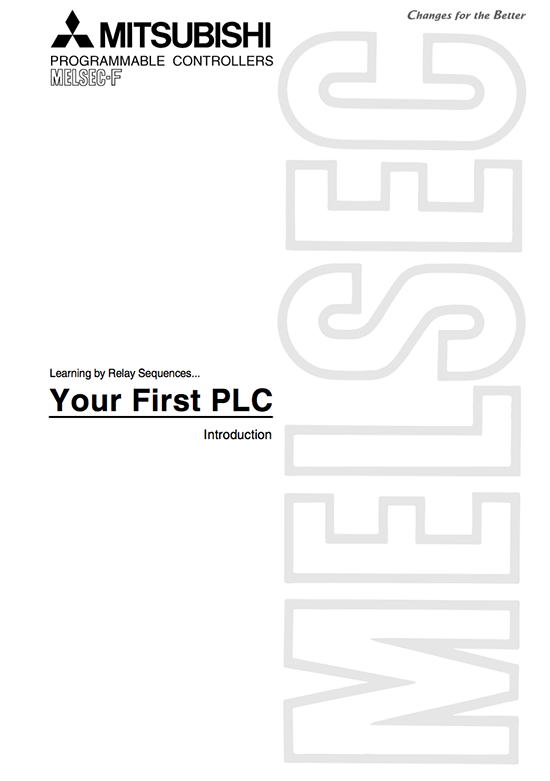 This text book introduces basic knowledge you should be aware of for relay sequences control together with simple examples for first-time users of PLCs. Descriptions in this text book are primarily for the teaching material FX-I/O demonstration model that uses the micro PLC FX1S-14MR type. Though the word “sequence control” may generally be unfamiliar to us, it is used very often around us, and everyone is likely to have seen or have had contact with something that is controlled by sequence control. We can understand that “sequence” refers to a succession or order in which events occur. When the operation switch is closed, the float switch limit switch 1 closes if the tank is empty, and the magnet switch MC is operated to drive the transfer pump motor. Relay MC is designed to hold its own state even if the water level is at the mid position. 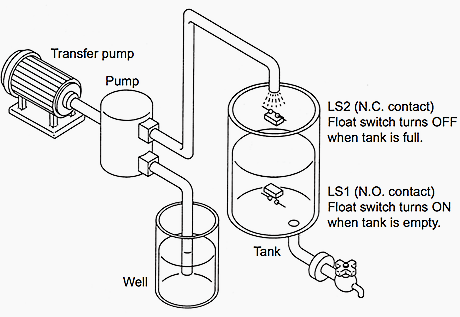 When the tank becomes full, float switch limit switch 2 opens, hold operation of the relay MC is canceled, and the transfer pump motor stops. 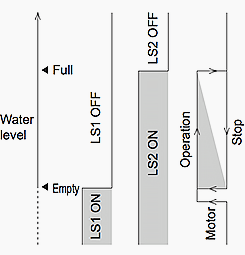 When the water level reaches the empty level, the motor starts to operate automatically again. 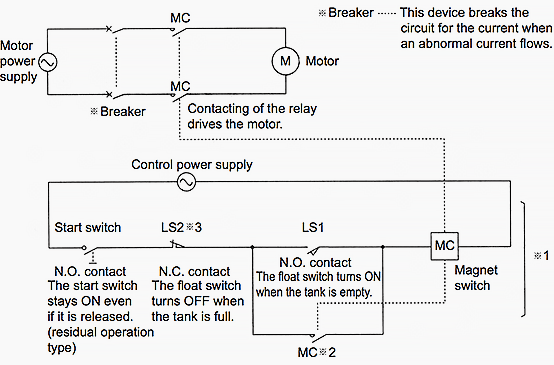 With motor operation in this control example, the motor starts to operate at the mid position after an empty tank is detected. Motor operation stops at the mid position after a full tank is detected, and the motor operating state differs even at the mid position. This kind of operation is called “hysteresis operation” and can reduce the number of times that motor operation is stopped. 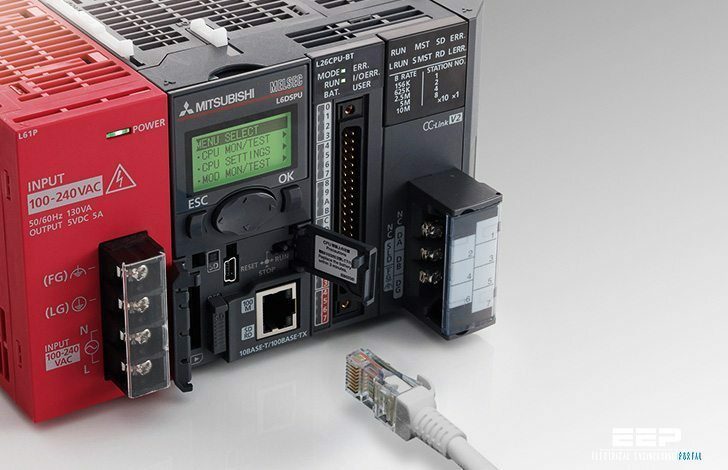 The sequence in this section is generally replaced by a sequence program on a PLC. A “self-hold circuit” refers to an operation circuit that bypasses signals arriving from an external relay or other device by means of the contact of the relay itself. Self-hold circuits can also be said to have a memory function that allows them to operate continuously even if the circuit is cut by releasing a pressed pushbutton. Though limit switch 2 (LS2) functions to cut the self-hold circuit to stop the transfer pump motor, when limit switch 2 (LS2) is used with a N.C. contact, the switch can also be turned OFF to stop transfer of water during a switch contact failure or wiring break.